The European parliament voted today to bring copyright rules up to date. 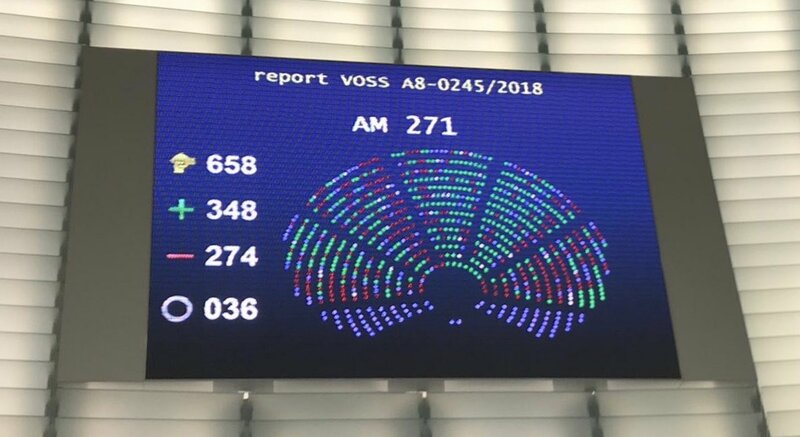 348 MEPs voted in favour, 274 against and 36 abstained. The position of creators and citizens will be reinforced in their dealings with platforms. In addition, authors and performers will benefit from new provisions regarding remuneration and contracts. The innovation friendly package also establishes lighter rules for small start ups. Helen Smith commented: "This is a landmark day for Europe’s creators and citizens, and a significant step towards a fairer internet. Platforms facilitate a unique relationship between artists and fans, and this will be given a boost as a result of this directive. It will have a ripple effect world wide." The next step is for member states to confirm the text. The directive will then need to be implemented at national level, within a two year period from when it is officially published. After an earlier positive vote in September, Google, YouTube and others launched a massive and sustained campaign against article 13 (17 in the final text), including with YouTubers who exerted considerable pressure on public opinion. In the weeks before the vote, many artists spoke out in favour of the directive, culminating with the powerful Just Say Yes campaign. Helen Smith concluded: "The fact that the artists spoke amid so much anti-copyright harassment online is impressive. Parliamentarians did not let themselves be intimated and had the courage to vote this text through. Thanks to all who were involved in crafting such a balanced outcome. It is now for member states to reconfirm their approval of the directive."